FRAILTY MYTHS - Workshop Sponsorship! Pollinate Farms and Frailty Myths Partner to Bring a New Self-Reliance Workshop to the Bay Area! We've excited to announce our new partnership with Pollinate Farms, an incredible urban farm in the heart of the Fruitvale neighborhood of Oakland, CA. 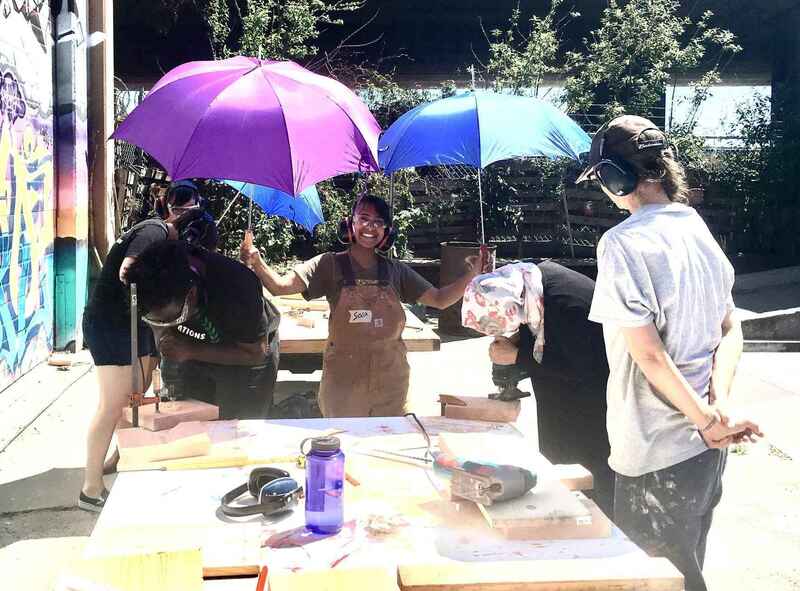 We're offering a FREE three part outdoors and woodworking workshop series for community members entitled, "Woodworking Toward Self Reliance: A Three Part Series." Each participant will build and take home a hand crafted projects for composting, gardening, and cultivation, along with learning more about urban farming and gaining a new community of myth smashers to change the world. We've created this partnership to actively work together on creating solutions and inspiring new leaders in our community and we need the support of leaders like you. We know that our efforts to inspire new change-makers in our community can't happen unless we get the support of the entire community. We're asking community leaders and business to support by donating to ensure that these workshops are offered FREE to each participant, with no person being turned away because of a lack of resources. Make a contribution and help us continue to create the just world that we want to live in!